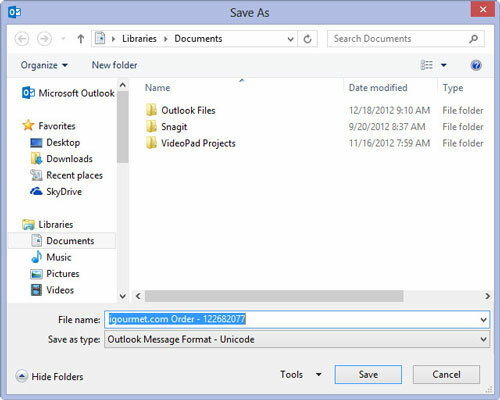 With the message already open, select the File tab from the Ribbon and then choose Save As (or press F12). 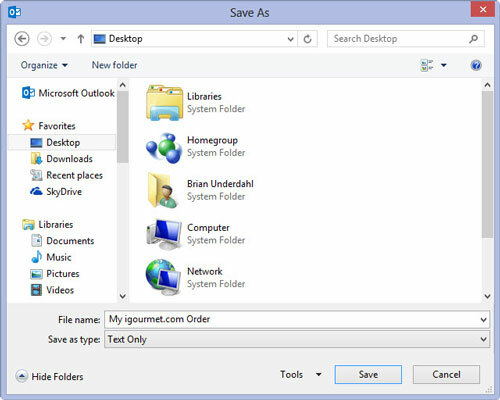 Use the Navigation pane on the left side of the Save As dialog box to choose the drive and folder in which you want to save the file. Click the File Name text box and type the name you want to give the file. 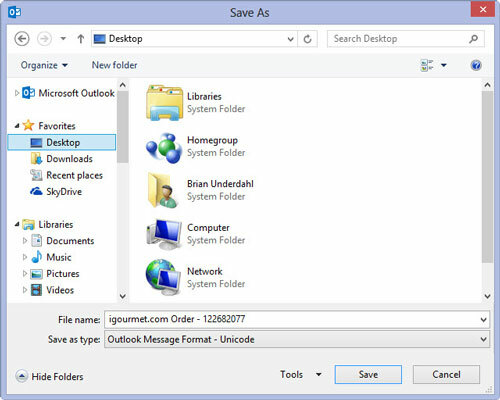 Type any name you want — if you type a filename that Outlook can’t use, it opens a window telling you that the filename is not valid. Click the triangle at the end of the Save as Type box and choose Text as your file type. 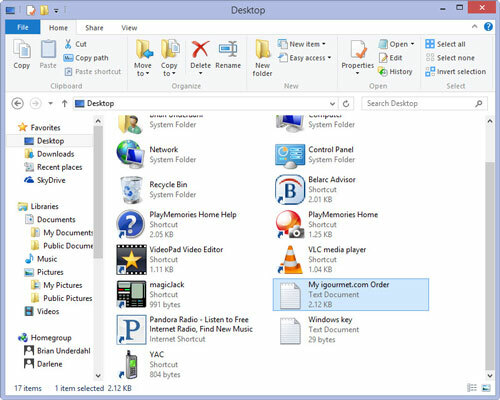 You have several file types to choose from, but the Text file format is most easily read by other applications. Click the Save button (or press Enter). 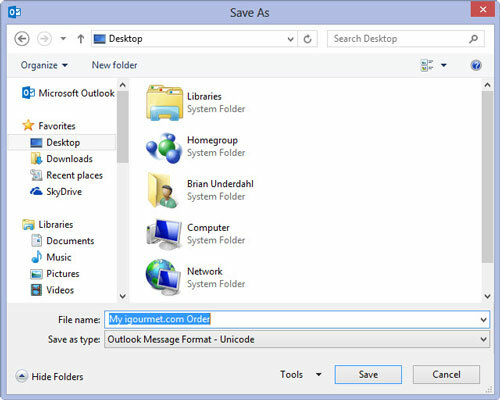 The message is saved to the file and folder you specified in Step 2.